"Very friendly and family operated. They go above and beyond the call of duty. They have that old school customer service people are looking for." Ken and Sam are incredibly friendly, knowledgeable, and honest. They make you feel at ease-especially when it comes to dropping a ton of money at once. They explain the true issue and don't try to sell you services that you don't need. Just not a big fan of the extra charge to refill the windshield wiper fluid. Especially since I refill it before the car is brought there. I will be returning to the shop for any additional car repairs. The staff was friendly and approachable and quick in getting together an estimate to do the work. The price of the work was more than 40% less expensive than having it done through the dealer where I initially bought my car. staff is very friendly and they keep you informed daily about the progress of your vehicle. Everything seemed to go great. Quick service, reasonable fee. Sam was very informative and helped us through each question/recommendation. i received excellent service from the team at Libertyville Kar Care center. Ken and Sam and staff are great! Right now, they are the mechanic shop that I trust the most. All anyone can ask for is a garage we can trust. When looking at the Kar Care store in Libertyville, we found a very experienced manager, Ken, who is committed to great customer service. He has surrounded himself with two ASE certified techs, each with over 10 years of experience. This excellent team allows them the confidence to stand behind their work with a 3 year/36,000 mile warranty. Their clean, modern facility offers a comfortable waiting room with WiFi access if you should decide to wait while your vehicle is being serviced. If you must leave your vehicle their local shuttle is at the ready, or a loaner vehicle may be available upon request. 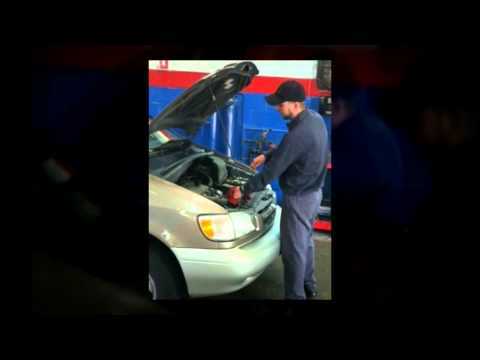 Kar Care has been repairing Import and Domestic cars and light trucks for over 20 years. We can complete any automotive repair from anything as small as replacing a light bulb to the toughest of diagnostic repairs. Located in Libertyville, our 8 bay facility is equipped with all the up to date diagnostic equipment needed to diagnose and repair your vehicle. When you bring your automobile to us our ASE certified auto repair technicians will resolve the mechanical issue(s) presented, and restore the dependability and reliability you expect from your car. Drop by our auto repair shop and we will show you why we are considered one of the best auto repair shops in the Chicago land area.Repairs come with a 3 year 36,000 warranty. Our QUALITY PRICE GUARANTEE was established in order to guarantee the use of the highest quality parts in order to reach our high warranty standards. We will meet or beat any written quote for repairs using the same quality of parts. We also have free loaner cars. Does it make sense, depends on price, expiration mileage, what the warranty covers and how much you drive a year. If you feel as if your being taken advantage of a second opinion on the needed repairs is your next step. Contact Ken at Libertyville Kar Care 847-680-1001. We have ASE certified mechanics that work on Mercedes and will be able to check your car and give you a second opinion on the needed repairs. A shudder/vibration can be caused by a number of different reasons. It would be best to call us for an appointment and one of our ASE certified technicians will test drive and Inspect your car.